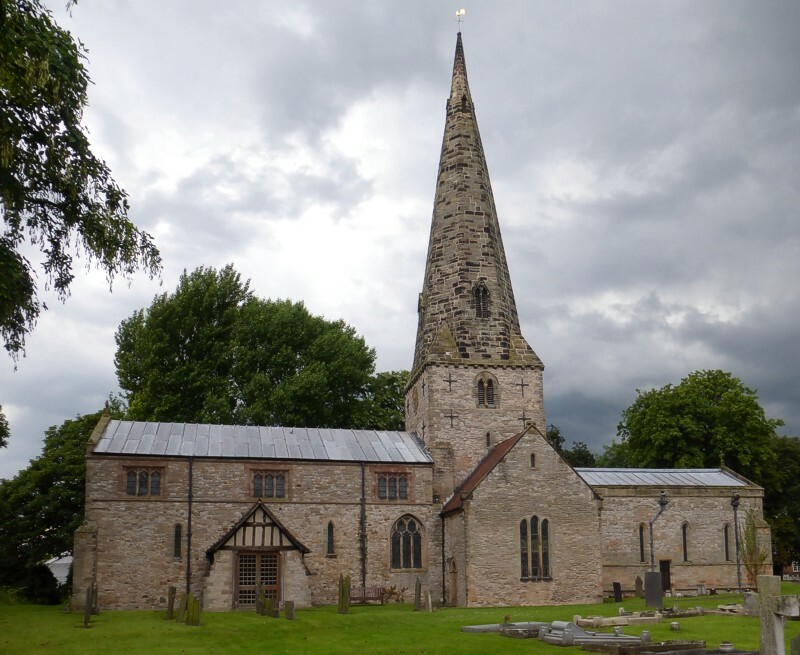 The church dates from the 13th century and borders the River Soar with extensive views over the Soar valley. The building is cruciform in plan and has a central tower with a broach spire. The clerestory in the nave was added in the 15th century. The font is 14th century, with tracery panels. Above the chancel arch are the royal coat-of-arms (Stuart) of Charles II dated 1683, most unusually made of plaster, and erected by Samuel Sanders, Lord of the Manor whose own arms are depicted below and to the right; those of his wife sit below and to the left. There are fine monuments to Frances Willoughby 1606, and another to W Willoughby of 1636. A well-used public footpath forming part of a network of paths through the village and surrounding countryside crosses the churchyard.